Mumbai: Asian Paints, leading paint and décor major has launched an all new corporate TVC, #PeopleAddColour. 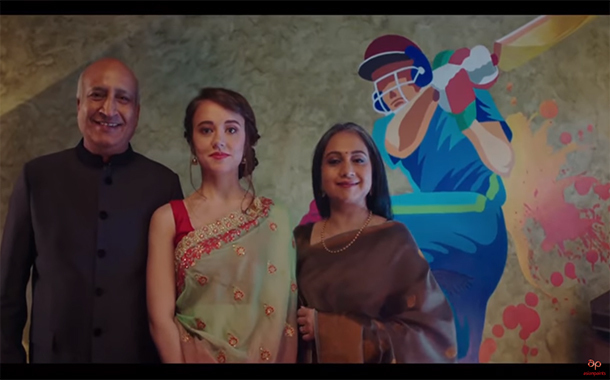 Building on the brand’s existing corporate positioning ‘HarGharKuchKehtaHai’, the new TVC signifies how people and the joy of redecorating one’s home can create colourful moments and memories to be cherished for years to come. Conceptualized by Ogilvy India, we see the main film in which an elderly couple, who are empty nesters, recreate a sense of home with strangers. The TVC opens to an intriguing scenario of a lady who sees her husband re-doing their son’s room with the help of painters.On questioning her husband about why the room is being re-decorated, he mentions that just as their son has been welcomed into the home of another family abroad, there will be other kids living away from their families whom they could provide a home to as a paying guest. This thought is taken further with a set of 20 sec films, print, outdoor, retail promotion, radio spots, digital engagement and on-ground activation. TheTVC will be aired on national and regional channels in English, Hindi, Marathi, Kannada, Telugu and Bengali. In addition, the TVC will also be promoted across Asian Paints YouTube channel.